We usually spend Christmas with my parents in Texas. My Mom's Birthday is on Christmas Day. Then we head to Arizona to spend Wes's Birthday (New Year's Day) with his family. I decided that I would do a Handmade Christmas for the Tejas Familia. (Read the insert card below to learn more.) And this is how I kicked it off. 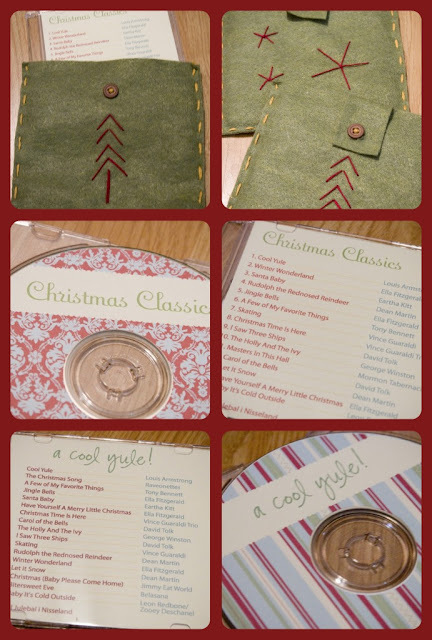 I sent CDs in hand-sewn envelopes to my parents and brother/sis-in-law combo (aka "Gratia"). 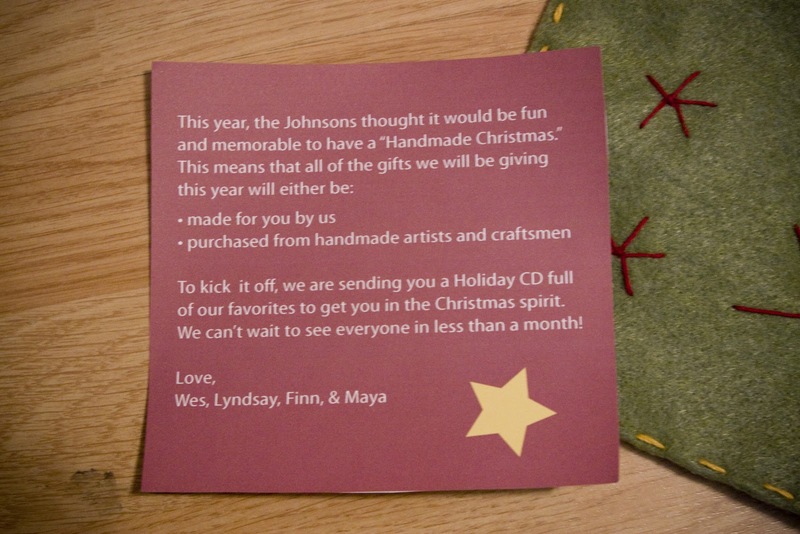 It's felt really wonderful to personally make so many gifts. Even if some of them are quirky and small, and oddly redundant once I stepped back and looked at everything. I wrapped them all up in brown paper packaging and tied them with string. Then I shipped them all out today! I'll post photos after the Holidays so as not to give anything away. You are so awesome and inspiring Lyndsay! Very nice...love those handmade envelopes.